Christian Baldini (M.M. '05-orchestral conducting) has been invited to serve as the cover conductor for Michael Tilson Thomas with the San Francisco Symphony, and he will make his debut with the symphony in December of this year. After teaching and conducting at the State University of New York - Buffalo, Baldini joined the University of California - Davis faculty in 2009, where he is the music director of the UC-Davis Symphony Orchestra. Since 2012, he has also served as music director of the 52-year old Camellia Symphony Orchestra in Sacramento, California. He regularly conducts several international orchestras including the Munich Radio Orchestra, Scottish Chamber Orchestra, Buenos Aires Philharmonic, BBC Symphony Orchestra, the National Symphony Orchestra (of Argentina and the United States), the Orquestra Sinfónica do Porto (Portugal), and the San Francisco Contemporary Music Players. He has conducted opera at the Aldeburgh Festival (United Kingdom), Mondavi Center, and the Teatro Colón (Buenos Aires). 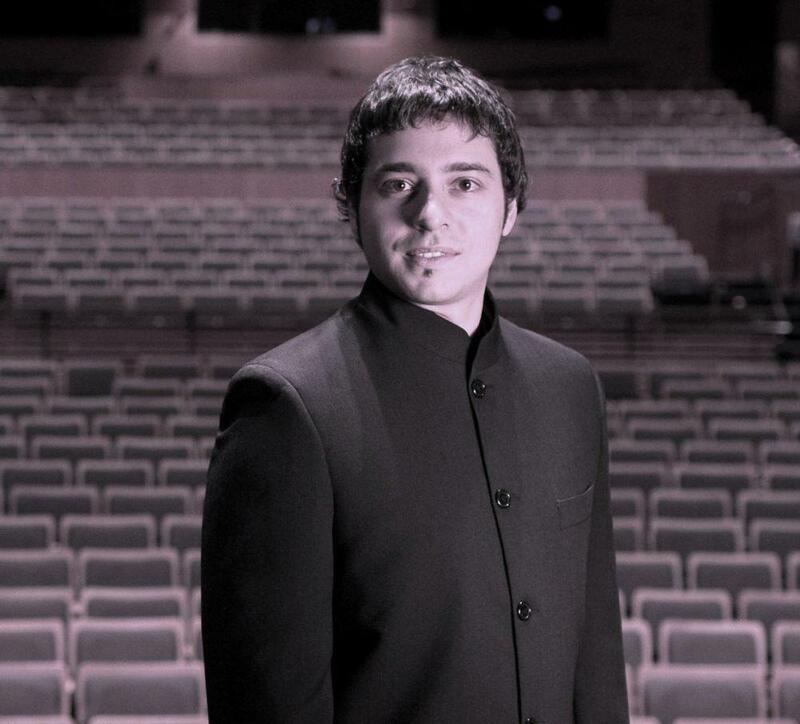 He made his conducting debut in Salzburg at the Award Weekend when an international jury distinguished him out of ninety-one submissions worldwide. Baldini was described by the international press as a conductor who “has a keen ear for detail” (The Scotsman, on his Scottish Chamber Orchestra debut) and who “left sighs all over the hall and the rows of the orchestra” (Folha de Sao Paulo, Brazil). When he made his conducting debut in South Africa, Moira de Swardt stated that “passion and dedication intersect for a fabulous orchestral concert”. Equally at home in the core symphonic and operatic repertoire as in the most daring corners of contemporary music, he has presented world premieres of over seventy works. Baldini has been a featured composer at the Acanthes Festival in France and the Ginastera Festival in London. His compositions have been performed by orchestras and ensembles including the Orchestre National de Lorraine (France), Southbank Sinfonia (London), Munich Radio Orchestra (Germany), New York New Music Ensemble, Memphis Symphony Orchestra, Daegu Chamber Orchestra (South Korea), Chronophonie Ensemble (Freiburg) and the Ensemble Modern (Frankfurt). His music can be heard on the Pretal Label, and he has also recorded contemporary Italian music for the RAI Trade and Tactus labels. His compositions are published by Babel Scores in Paris. As a conductor, Baldini was privileged to learn from Kurt Masur, Michael Tilson Thomas, Peter Eötvös, Leonard Slatkin, Gerardo Edelstein, Andrea Pestalozza, Guillermo Scarabino and Martyn Brabbins. He holds degrees from the State University of New York at Buffalo (Ph.D. in composition), Pennsylvania State University (M.M. in conducting), and the Catholic University of Argentina (B.A. in conducting and composition).